We can still STOP the housing development on Dunsfold Aerodrome. First, on 29th March, under Section 113 of the Planning and Compulsory Purchase Act 2004 against Waverley Borough Council (WBC) with the Secretary of State of Housing, Communities and Local Government as an interested party, regarding the policies on housing targets contained in its Local Plan Part 1. Dunsfold Airport Limited also joined as an interested party. Second, on 2nd May, under Section 288 of the Town and Country Planning Act 1990 against the Secretary of State of Housing, Communities and Local Government with WBC, Dunsfold Airport Limited and Rutland Limited as interested parties regarding his granting of planning permission for 1,800 homes on Dunsfold Aerodrome. The two challenges are inextricably linked and both need to succeed to stop the development of Dunsfold Aerodrome. The High Court has agreed to POW’s request that the two appeals be heard together and has also combined both with CPRE’s s113 appeal. 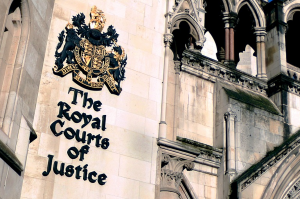 The next stage is to obtain permission from the Planning Court for the appeals to proceed to a full Court hearing. The appeals will only be allowed to proceed if the Planning Court thinks that they are arguable and have a reasonable chance of success. The call for funds is to pay for the necessary QC fees and court charges. Through the court POW is seeking a limit on the costs to which it will be liable if its appeals should not succeed. If we do not pursue this legal action, the development will go ahead. This is the last chance to stop the housing development on Dunsfold Aerodrome. Please contribute via our normal donation page here. Thank you for supporting the POW campaign. Contribution made. I will once again state my gratitude for the excellent work you’re doing. Thank you Doug, Your support, and from others across the Borough, is much appreciated. We will ensure it is spent wisely.